METARs Aviation Weather — Aviation Mobile Apps, LLC. 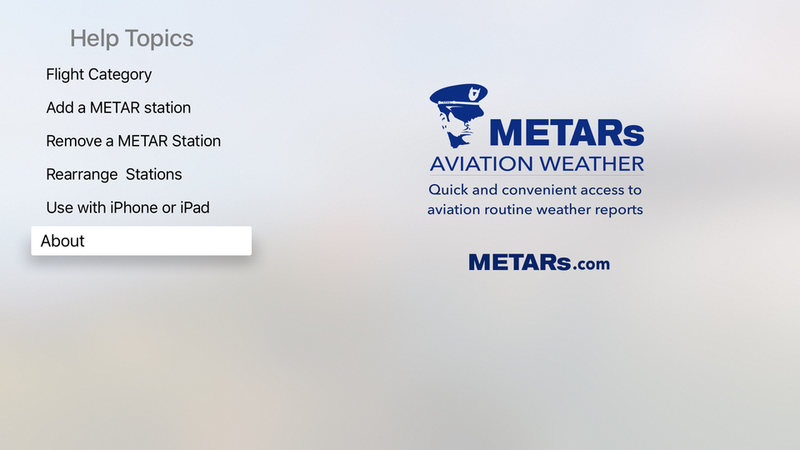 METARs Aviation Weather provides quick and convenient access to the world's most trusted aviation routine weather reports, the METAR and TAF. 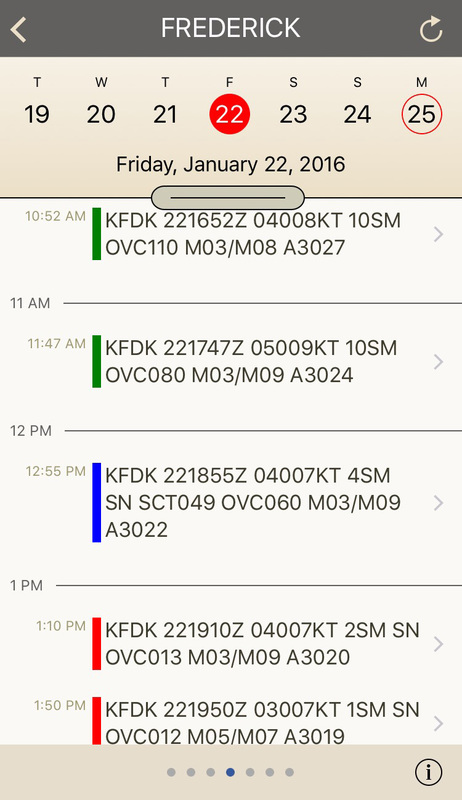 We collect weather reports from world-wide METAR & TAF stations, translate and color code them to the appropriate flight category (IFR, VFR, MVFR & LIFR), then display them in a calendar-style format that helps you to see trends at a glance. Unique to the app is a robust alerting system, which monitors changing flight categories and notifies you based on alert conditions you choose. So if you want to know when your departure airport changes from VFR to marginal VFR, just tap a few settings and you’ll be ready. METARs.com collects weather reports from METAR stations from all over the world. Reports are color coded to the appropriate flight category and displayed in a calendar-style format, helping you to see trends at a glance. To get started, enter the name or ICAO code of a METAR station in the search box above and click search. 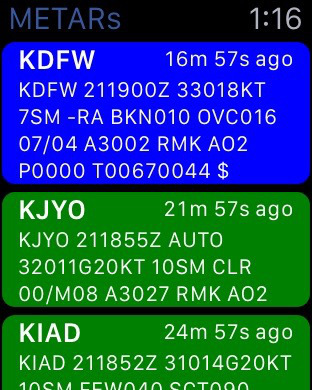 Our full featured mobile apps for Android and Apple iOS store your frequently used METAR stations for quick reference. 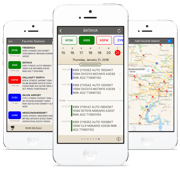 The iOS version includes a robust alerting system, which monitors changing flight categories and notifies you based on alert conditions you choose. You are going to love consuming METAR reports this way! 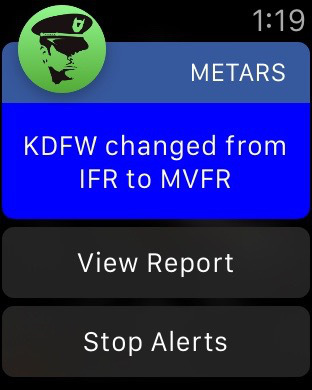 METARs for your smartwatch works with the mobile app version on your smartphone. View the latest conditions at your favorite weather stations right from your watch face, and get notified of weather changes based on alert conditions you choose. 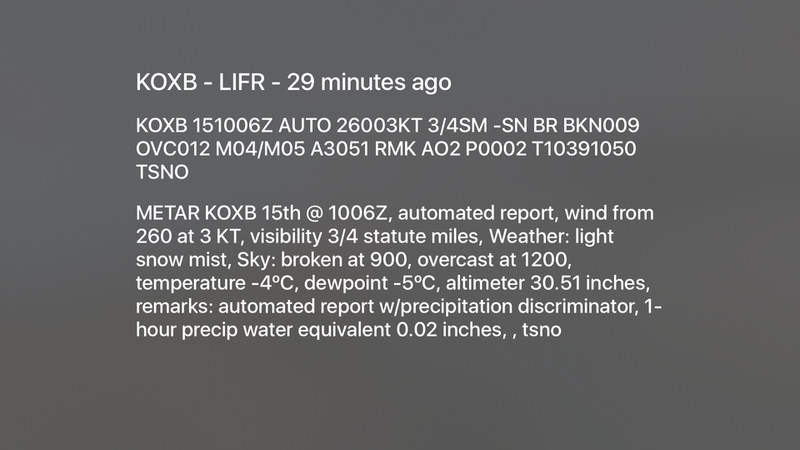 METARs Aviation Weather for Apple TV features a dashboard with current information from your favorite METAR stations. A stock ticker-like readout of the latest METAR reports scrolls across the bottom of the screen. You can control the application directly from the Apple TV remote, or from the included full-featured companion app for your iPhone or iPad, making it perfect for flight schools or corporate flight departments. This is the quickest and most convenient way to access aviation routine weather reports on any device. Built by pilots, for pilots, we think you are going love consuming METAR and TAF reports this way!